This is an annual, year-round program for participating POPP schools. Includes Spring and Fall Semester “Protect the Dream” campaigns, Summer POPP football program, monthly inspirational breakfasts, two school assembly presentations, plus launch of the student “POPP Club” to keep the positive momentum going. Our POPP Team will be a presence on the field, in the gym, and in the training rooms throughout the year! One hundred new “POPP Role Models” commissioned per year at your school. Monthly “POPP Parents” conference calls and small groups to help adults learn how to connect and engage with Gen Z, plus Town Hall meetings in your community to discuss SOLUTIONS. Standout student athletes and other student leaders begin using their influence for peace and learn how to make public presentations at local middle schools. This is our “Dream Protector” program. 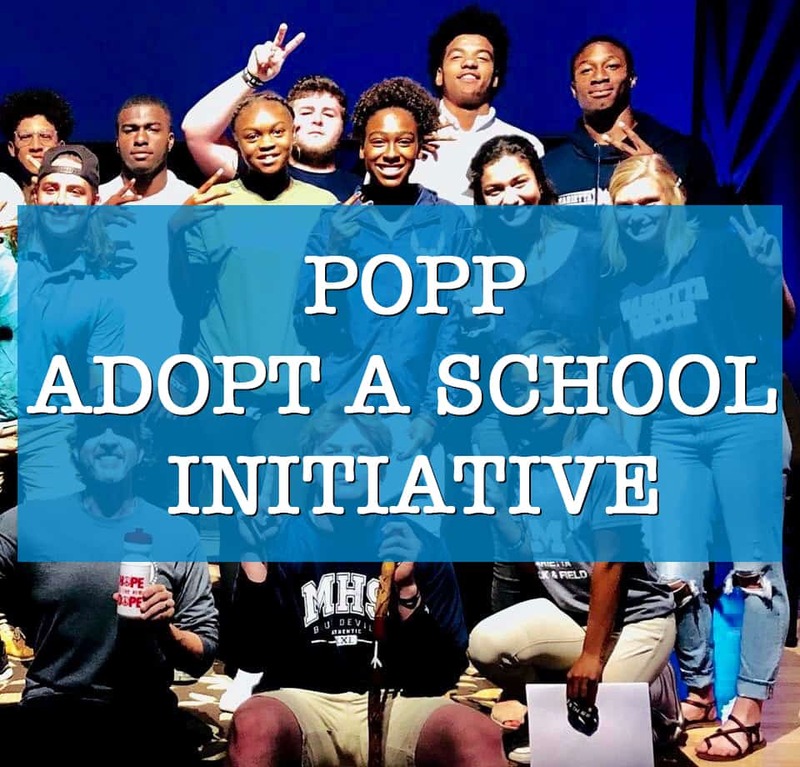 POPP Teens will give back, and work together on powerful community service projects, so they can give away what they’ve been freely given. The kids in your community need to be inspired to dream BIG dreams and protect those dreams at all costs, and as leaders, to go out and be Dream Protectors on their campus. Invest in them and help them create a Legacy of Courage & Character in our schools and communities. We’re turning Rivals into Role Models! Just go to PowerofPeaceProject.com and click DONATE. Check out these short Protect the Dream clips and get fired up about the POPP Youth Peace Initiative coming to your school soon!